Today in news that will probably inspire a substantial increase in references to “Gettin’ Jiggy Wit it”—even though only one of the guys involved was actually behind that song—Yahoo Music is reporting that Will “The Fresh Prince” Smith is planning to go on tour with DJ Jazzy Jeff next summer for what will be the greatest nostalgia trip for ’90s kids since the last great nostalgia trip for ’90s kids. Smith announced his plan earlier this week on Zane Lowe’s Beats 1 radio show, and though nothing is official yet, Smith says he wants to bring Jeff along because they never went on a proper tour together back in the day. Apparently, he was too busy with all the beloved TV shows and movies he was making in the ’90s. This comes only a few days after Smith released his first new song in over a decade, “Fiesta,” a remix of a Bomba Estéreo track. 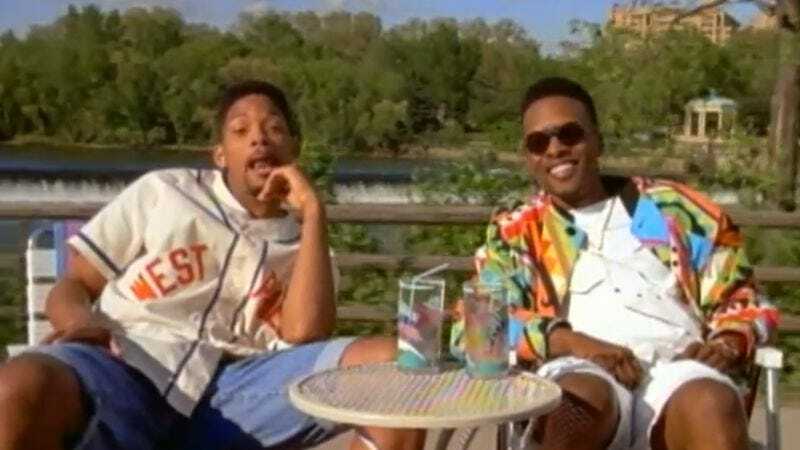 In that interview, he also mentions having “about 30 new songs recorded,” with “six or seven” that he really likes, so Smith and Jazzy Jeff will probably end up playing some of those new songs on this tour. Of course, everybody will be there to hear “Parents Just Don’t Understand” and the theme song from Fresh Prince anyway, so he doesn’t really need to bother with that.